Located in Kutchan, Mountainside Palace is in the mountains, within a 15-minute drive of Niseko Mountain Resort Grand Hirafu and Lake Hangetsu Nature Park. Featured amenities include luggage storage, laundry facilities, and an elevator (lift). Guests may use a roundtrip airport shuttle for a surcharge, and free self parking is available onsite. 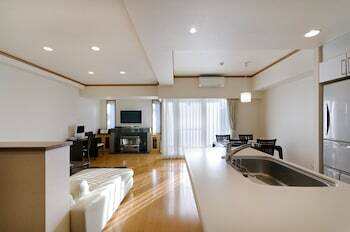 When you stay at Ryokan Azumaya in Kyoto, you'll be in the historical district, within a 15-minute walk of Higashi Honganji Temple and Kyoto Tower. The front desk is staffed during limited hours.